To repair a septic tank drain pipe, you must first understand the problem. Some common problems with septic drain pipes are foreign objects clogging or blocking the drain pipe; solids from the septic tank overflowing into the exit drain pipe and/or roots grown into the pipe, cracking the pipe and blocking the water flow; or failing drain field preventing drainage. If you have any of these problems there will be signs and symptoms that you will notice, such as backup into the bathtubs and showers and toilets not flushing. 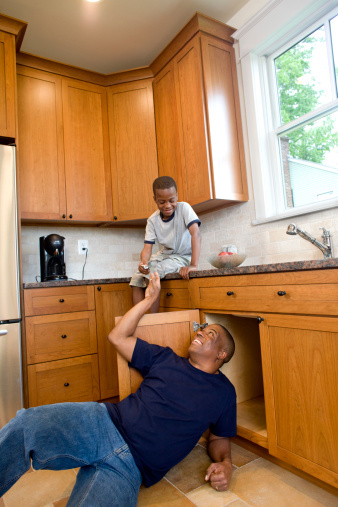 Check for a clog or blockage in the drain pipe leading to the septic tank first. If somehow a foreign object was washed or flushed down the drain and is blocking the pipe you will have problems flushing toilets, and showers, tubs and sinks will not drain. You can run a snake down the pipe to dislodge the object and clear the pipe. Rent a plumber's snake at most hardware and home improvement stores. This should be a job that most homeowners can handle. Dig up the septic tank if there was no blockage in the drain pipe leading to the septic tank. This will require a lot of digging and may require a backhoe. 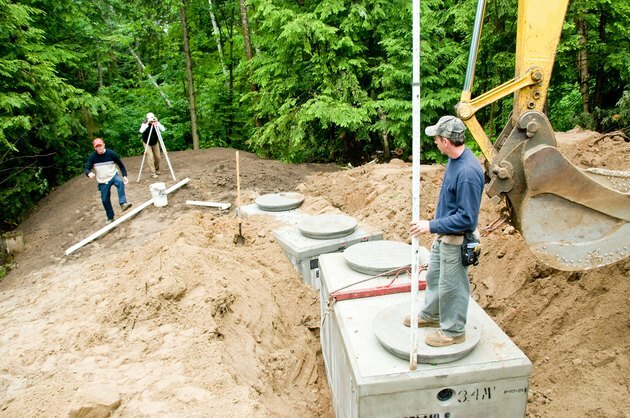 Many homeowners will prefer to hire a professional to dig up the septic tank. Open the septic tank and look at the level of the liquid. If it is below or right at the inlet from the house, you could have a blockage right at the end of the inlet. Try running a garden house up into the inlet to dislodge the blockage. If the water level is above the inlet, the problem is likely in the drain pipe exiting the septic tank to the drain field. Check the drain pipe flowing out of the septic tank to the drain field for a blockage. Some of the solids may have overflowed out of the tank into the drain pipe exiting the septic tank. Also, tree roots are naturally attracted to water, so they can grow right into the pipe causing it to crack and then blocking the water flow. Any blockage in the drain pipe exiting the septic tank will need to be roto-rooted from the pipes. Feed a roto-rooter tool through the pipes to chop the blockage into tiny pieces which will then be washed out of the pipe by the flow of liquids from the tank. Rent a roto-rooter tool at an equipment rental store or home improvement store if you do the job yourself. Check the ground around the drain field to see if the ground is soggy. If it is soggy, this is a sign that the drain field is failing. This could be a temporary problem if, for example, you had guests staying at your house and the drain field is saturated from the extra use. The problem might subside in a couple of days. But if not, you will need to dig up and replace the drain field. This will more than likely require a professional with the equipment to do the job.